Quality polyester fabric coated with high-grade vinyl. Supports rug evenly. 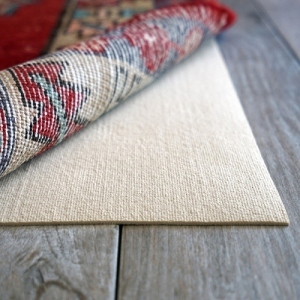 Superior grip strength keeps rugs from sliding and slipping on hard surfaces. 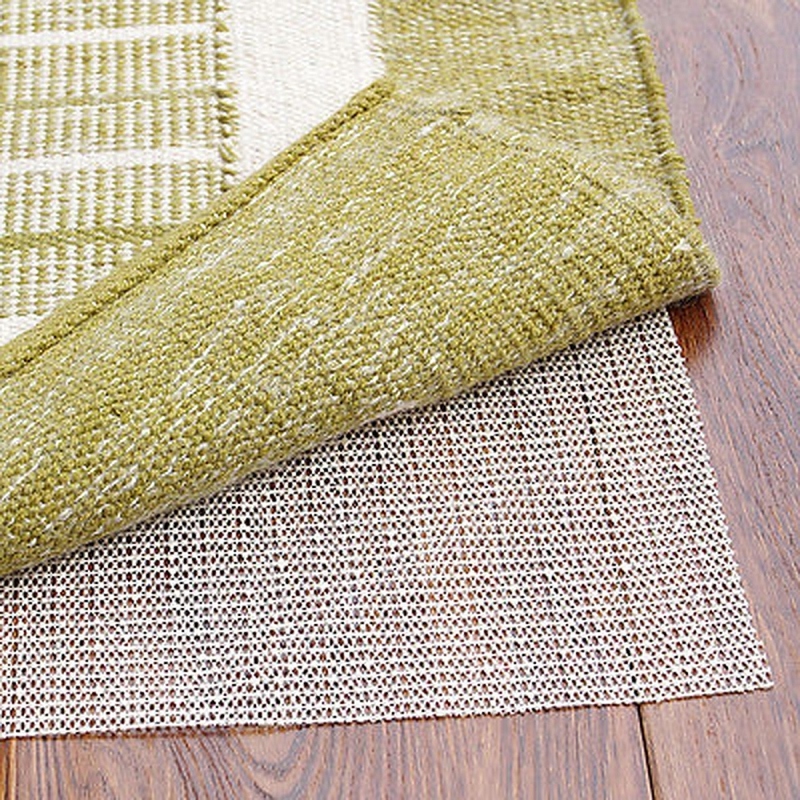 Open weave construction allows maximum air circulation and makes vacuuming easier. 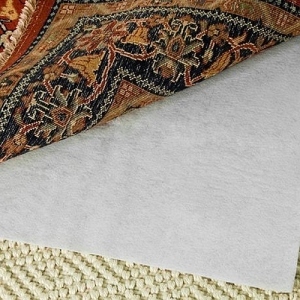 Treated to inhibit the growth of odor causing bacteria, mold and mildew. Fire-retardant and moth proofed. 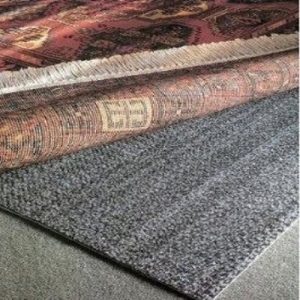 Extends rug life by reducing wear. 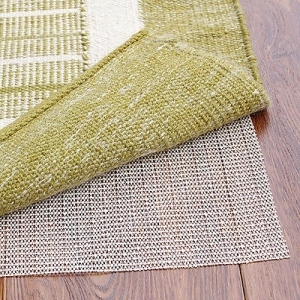 Protects floors from abrasive rug backings. 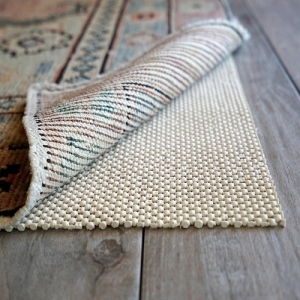 Easily cut with household scissors to fit any size rug. 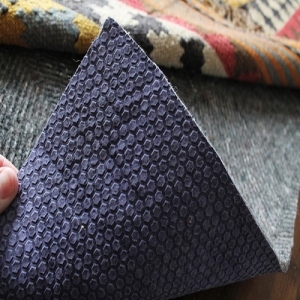 Easily washed in warm water and mild detergent. Guaranteed to maintain non-slip properties for 5 years, with proper maintenance.